This Thursday the Vikings are arriving in Britain and a Viking longship will be seen in London for the first time in a thousand years. 6th March will not, though, mark an unheralded resumption of the raids that died down in the 11th century, but the opening of the much-anticipated British Museum Vikings exhibition. 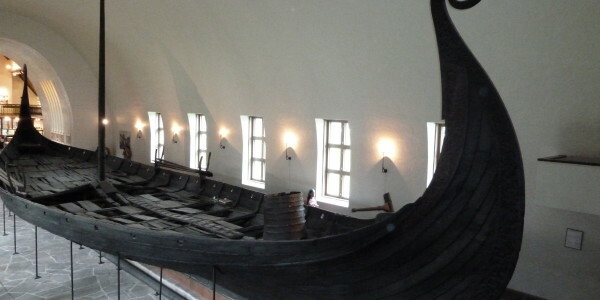 With the display of the Roskilde 6 ship, one of the largest to grace Scandinavian waters in the era of the raids, and a host of other artefacts on show, this is the most important exhibition on the Vikings for a generation. I will be reporting back on it at the end of the week, but be sure not to miss it. The other major event of the week is of course, the publication my own book, The Northmen’s Fury: A History of the Viking World, also on 6th March. It’s taken over four years to complete, and it’s a gratifying coincidence that I’ll be able to celebrate its launch by going to the British Museum and gazing at one of the longships. Looking forward to reading the new book. If I have time I may pop over to the British Museum exhibition.